With the weather getting warmer, there is no better place to enjoy water activities than in Cayuga County. 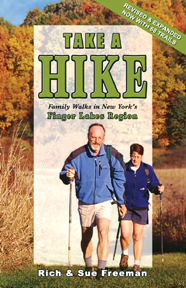 Our surveys tell us that one of the top two reasons visitors come to Cayuga County is to enjoy our amazing lakes, and with Owasco Lake in the center, Lake Ontario to the north, Skaneateles and Cross lakes to the east, and Cayuga Lake to the west plus several smaller lakes and the Erie Canal, people in Cayuga County have abundant opportunities to spend time in, on and around the water. In fact, Cayuga County has 170 square miles of water, making almost 20 percent of the county water and giving us more freshwater coastline than any other county in New York state. Whether you simply want to lounge around a lake or you prefer the excitement of water-skiing and windsurfing, Cayuga County is a definitely the place to be for water-filled fun! Most of us remember a favorite swimming spot from our youth, whether it was a pond, lake or stream, it was a great way to cool off on a hot summer day. There are plenty of wonderful places to splash around and swim in Cayuga County. Emerson Park, along with our three state parks — Fillmore Glen, Long Point and Fair Haven Beach — are all great places to take a dip in a safe environment. Smaller parks, like Frontenac Park in Union Springs and John Harris Park in Cayuga, also offer swimming on uncrowded, pristine beaches. Most parks not only offer swimming but also picnic areas, boat launches, hiking and fishing. You might not think of the Finger Lakes as a place for a scuba diving, but it certainly is! You don’t have to go to the ocean to find sunken treasures and interesting aquatic life; the waters of the Finger Lakes can yield plenty of surprises. Finger Lakes Scuba provides local dive opportunities on the Dive Deck, a 24-foot dive charter pontoon from May through October. If you don’t already have your scuba certification, sign up for a class at the Auburn YMCA, then gather your gear and get ready for a diving adventure. If you would rather be on the water than in the water, you can canoe, kayak, sail, powerboat or take a cruise on our waterways. Boat launches are located at most public parks, and boat rentals are available at many private marinas. Silver Waters Sailing on Lake Ontario offers sailing excursions and day trips as well as several learn-to-sail programs, so you can master the sailing basics. New this year, Owasco Paddles at Emerson Park offers canoes, kayaks and standup paddleboards for rent. And if you don’t know how to use a standup paddleboard, Finger Lakes Paddleboard offers lessons with certified PaddleFit instructors on Owasco Lake. This ancient Hawaiian sport is an ideal way to experience the beauty of the Finger Lakes. A unique opportunity to experience our waterways and another one of our most popular attractions, wineries, is to jump on board Water to Wine Tours, offering tours of award-winning Finger Lakes wineries by boat along beautiful Cayuga Lake. Scenic wine-tasting boat tours, dinner cruises, happy hour cruises and private charter cruises are all available from Water to Wine Tours, with scheduled cruises departing from the Aurora Inn. 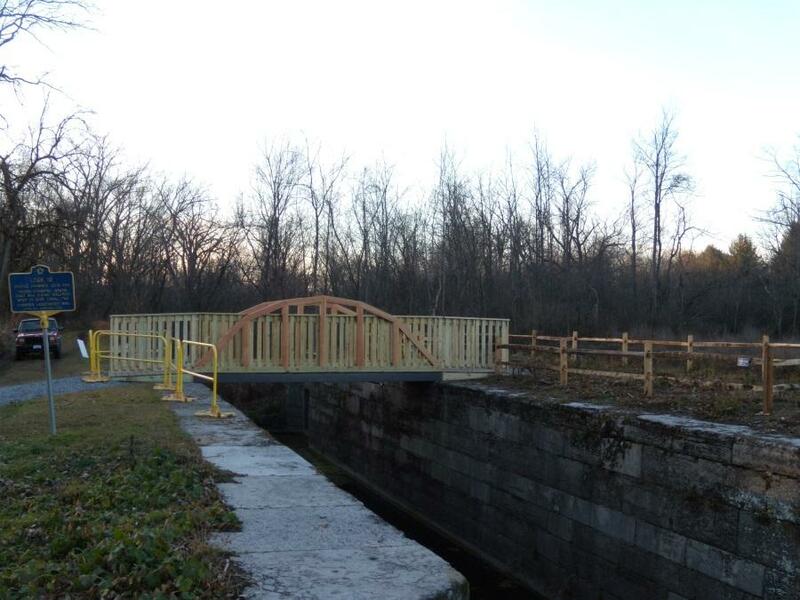 For more information on great things to see and do in, on and around the waterways of Cayuga County, stop in the Cayuga County Office of Tourism and pick up our on-the-water map and guide, or visit www.tourcayuga.com. 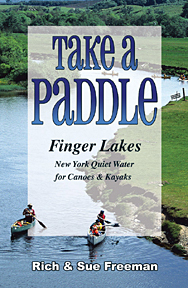 To purchase guidebooks to the area, including @00 Waterfalls & Take A paddle – Finger Lakes, visit Footprint Press.com. Ice skating was an integral part of my childhood. My street backed up to the Erie Canal, so in winter, my brothers and I toted our skates and snow shovels down the rocky embankment, into the lowered Erie Canal. We shoveled away the snow and spent many wonderful hours playing hockey and pretending to be Olympic ice skaters on the often bumpy surface. For a smoother glide, we piled into the car and went to the outdoor rink at Potter Memorial Park in Fairport. Years later at Holiday Harbour in Canandaigua, I shoveled a large area of the boat canals and invited a gang of friends over for a rousing game of broom hockey, followed by hot chocolate in my parent’s house. These were examples of ice skating in its raw, natural form – with lots of shoveling involved, and a high tolerance for bumpy ice. A potential skating rink exists anywhere you have shallow water such as a pond or canal that freezes solidly. For instance, people like to skate on Long Pond in Greece. If you prefer less physical prep work and smoother ice, you probably want to opt for an indoor ice rink. You’ll have to pay a fee but ice rinks often offer skate rentals and a warmer environment or a warming hut. Ice rinks in the Rochester area offer open public skating as well as hockey leagues, and skating lessons. They even provide options for birthday parties and special events. Visit the web site for specifics on each venue. For good free fun, outdoor rinks can be found at Churchville Park, Ellison Park, Highland Park, Fairport Junction Ice Arena next to the Box Factory in Fairport, and Veteran’s Memorial Park in Henrietta. There may be others in your neighborhood. In addition to being free, these rinks come pre-shoveled and are watered regularly to provide a smooth surface. Of course, you’re unlikely to have the rink to yourself as you would on a do-it-yourself pond. Many ice rinks rent skates but, for a pair of your own, visit the Fairport or Canandaigua locations of RVE Bike & Skate (www.rvebike.com/skates.html), Rochester’s premier ice skate retailer. They’ll help you find the perfect pair for a winter full of skating fun.